A stomach virus comes with symptoms like vomiting, diarrhea, and cramps, which can make your days unbearable. It can be one or a combination of various viruses, including rotaviruses, noroviruses, and adenoviruses. These viruses attack the digestive tract, causing inflammation. Being highly contagious, home remedies for stomach virus can help you recover faster and avoid spreading it. Taking medication when your tummy feels queasy all the time can add to your discomfort. Home remedies can help calm your intestines and reduce the inflammation in the stomach lining. With our home remedies for stomach virus, you will feel better again. Please include attribution to HomeRemedyBook.com with this graphic. All types of mint make effective home remedies for stomach virus because they contain antimicrobial and antiviral properties. Peppermint tea will kill the bacteria that cultivate and cause the infection in the intestines. The herb is also perfect for relieving bloating and gas, which are other symptoms you may have when suffering from viral gastroenteritis. Peppermint is a calmative, which is great for intestinal cramps. Boil a cup of water. Add a teaspoon of peppermint leaves. Allow steeping for 10 minutes. Strain the tea and drink. Take it 4-5 times a day between meals. Garlic is one of the best home remedies for stomach virus to first try out. The potent antibiotic qualities of garlic are what make it useful in fighting different types of viral infections in the digestive system. The antibacterial and antifungal properties add to its healing powers. You can also use garlic toast as a preventative measure if you are exposed to someone with a stomach bug. Eat a teaspoon immediately after preparing. Use remedy 2-3 times in a row to soothe the stomach lining. *The stomach flu takes 2 to 3 days before clearing up, so if it takes longer, consult your doctor. Apple cider vinegar contains the soluble fiber pectin, which helps minimize vomiting and nausea. It is excellent at soothing an upset stomach, hence its use as one of the home remedies for stomach virus. Its acetic acid components help with pH level balancing, thus reducing infections in the digestive tract. Apple cider vinegar also gets rid of viruses and other microorganisms that contribute to stomach flu. Add a teaspoon of apple cider vinegar to a glass of warm water or fruit juice. Drink the solution 30 minutes before eating. Use remedy until stomach virus clears. Chamomile tea is a staple natural treatment that helps in dealing with many ailments. For stomach flu, chamomile works as a digestive relaxant that calms intestinal spasms. The herb is also ideal for treating diarrhea and vomiting. 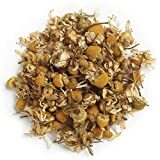 Chamomile will smooth an inflamed gut, which offers you relief for symptoms such as bloating and indigestion. Drinking herbal tea will help you sleep better as well, which is always difficult when suffering from a queasy tummy. Add a tablespoon of fresh chamomile or 2 of dried chamomile flowers. Give it 10-15 minutes to steep. Strain then add ½ teaspoon of honey or lemon juice for flavor. Drink thrice daily for 2-3 days to treat stomach virus. Fresh Ginger 2 lbs. Save Money. Fresh ginger is a staple in my kitchen. It is an extremely versatile ingredient. Ginger is another kitchen spice that can provide relief when nursing a stomach virus. The herb is a natural remedy for nausea as well as for vomiting. It will get rid of your bloating, vomiting and tummy cramps. Ginger has anti-inflammatory effects, so it is perfect for treating inflammation in the digestive tract. It is also excellent for decreasing the rate of loose stools. However, ginger is not advisable for individuals with hypertension. Chop fresh ginger and add to the water. Cover and leave it to steep for 10 minutes. Drink ginger tea 3-4 times a day until the stomach stops acting up. Chew fresh ginger sprinkled with salt to calm the digestive system as an alternative. The antiseptic qualities present in lemon juice make it one of the top home remedies for stomach virus. It rids your digestive system of infections and makes your gut inhospitable for organisms to breed. There is also the Vitamin C that is excellent in building up your immune system, which can be quite vulnerable after constant vomiting and diarrhea. Lemon juice will also soothe a problematic gut, relieving you of nausea and bloating. Add a teaspoon of lemon juice into a glass of water. Drink half an hour before eating. Add lemon juice to herbal teas to increase their potency. One of the oldest home remedies for stomach virus is water from brown rice. The water works wonders in curing diarrhea and stomach ache. Rice is a bland food, which is what your stomach needs when upset. The rice water will reduce the inflammation in the digestive tract, thereby minimizing the effects of the stomach virus. Additionally, you get to provide your body with much-needed nutrients, which can be hard to get from regular food because you can’t keep anything down. Boil 1/2 cup of brown rice in 6 cups of water until it’s soft. Strain the rice out and leave the water to cool. Add ½ teaspoon of honey for flavor. Sip a cup of rice water every hour. You can turn to cinnamon when searching for effective home remedies for stomach virus. The cinnamaldehyde present in cinnamon has the power to fight adenovirus, hence the potency of the herb in treating viral infections in the gut. Cinnamon is also a renowned remedy for curing nausea and bloating. While cinnamon tea with honey is an effective cure against inflammation of the digestive tract. The combination will soothe the stomach lining and reduce the symptoms of the viral infection. Boil ½ cup of water. Add a teaspoon of cinnamon powder. Leave to brew for 5 minutes. Sieve with a fine strainer. Drink the tea 3-4 times daily for 2 days. Certified Organic and Easy to Use! This bright yellow powder has a warm aroma and gingery/peppery taste making it an excellent addition to Indian, Moroccan, Asian and Middle Eastern dishes! Healthworks Turmeric Powder is all natural, non-irradiated and certified organic. Turmeric has a known history of powerful anti-inflammatory effects and antioxidant properties. The most active ingredient in turmeric is Curcumin, which is known for protecting the body's cells and and relieving plain. Our Healthworks Customer Satisfaction Promise: We love our turmeric and stand behind it; Receive a full refund or replacement within 30 days if you are not completely satisfied. The versatility of the healing power of turmeric extends to stomach viruses. Its antibacterial traits help stave off any infections that are building up in the digestive system. Simultaneously, it uses its anti-inflammatory qualities to decrease inflammation in the stomach lining, providing relief from indigestion and bloating. Turmeric will help get rid of gas, nausea, vomiting, and acid reflux. Adding turmeric to your soups or rice is a great way to accelerate healing. Warm a glass of milk. 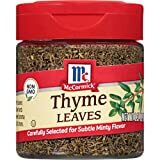 Thyme has been used for eons to settle an upset stomach. This herb has carminative effects, so it offers relief from stomach gas. The phenols in thyme have antispasmodic qualities, and that will reduce the intestinal cramps that result from stomach viral infections. 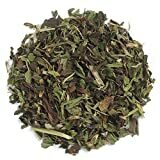 Thyme tea will help calm the queasiness in your gut, consequently treating nausea and vomiting, you can also get rid of the infection because it has antiseptic properties. Add a teaspoon of dried thyme leaves. Cover and wait 10 minutes for the solution to steep. Strain it and add honey. Drink about 3 times daily on an empty stomach. Dehydration is the biggest concern when suffering from gastroenteritis, thus the need to increase your fluid intake. A salt and sugar mixture is the simplest rehydration solution you can create at home for both children and adults. Sodium replenishes the electrolytes that you lose during vomiting while sugar provides energy. The solution is also effective in alleviating stomach cramps and soothing a problematic digestive system. Add ½ teaspoon of salt to a glass of water. Then add 1 teaspoon of sugar and stir. Drink the solution twice a day to replace lost fluids. CERTIFIED ORGANIC by QAI in accordance with the USDA National Organic Program Guidelines and CERTIFIED KOSHER by EarthKosher. GMP CERTIFIED: cGMP Compliant (current Good Manufacturing Practices). 100% NATURAL - No known pesticides were used to grow this product. This product is free of any additives or preservatives. No solvents were used to produce this product, nor excipients. USES: CULINARY: Add flavor to salad dressings, culinary oils, baked goods & grilled meats and vegetables. Excellent addition to herbal teas and seasoning blends. HOUSEHOLD: Rosemary infusions and extracts are used in natural cleaners. The dried herb also lends its aromatic qualities to incense and potpourri blends. COSMETIC: Hot water infusions are used as hair and scalp tonics and in astringent skin toners. INDUSTRIAL: Rosemary extract is used as a 100% natural preservative. NUTRIENTS: A good source of fiber, calcium and iron, Rosemary adds earthy goodness to soups, stews, breads and roasted meats and vegetables. 1 LB BULK PACKAGING: Come in 1 pound bag, which equates to approximately 4.5 cups. COUNTRY OF ORIGIN: Morocco. Antiviral teas are the best home remedies for stomach virus, and rosemary is one of the most powerful ones. Rosemary tea will help kill the viruses causing the disease, such as rotavirus and norovirus. Herbalists also use the herb to calm intestinal cramping and nausea. Rosemary is one of the safest herbal treatments, so you can give it to children who have the stomach bug. Add a tablespoon of dried rosemary. Give the tea 5 minutes to boil. Strain and drink thrice daily. A stomach virus can leave your body feeling dehydrated due to the vomiting and diarrhea. Chia seeds are useful because they are hydrophilic, meaning they carry a lot of water. You can hydrate the seed properly so that they provide the needed fluids in the body once ingested. Chia seeds are also excellent in soothing the lining of the stomach, which reduces cramps and bloating. Put a tablespoon of chia seeds in a glass of water. Add 2 tablespoons of lime or lemon juice. Add a teaspoon of stevia powder and mix. Drink twice daily to replenish your bodily fluids. Bananas are highly recommended when suffering from a stomach virus. For one, they digest very easily, meaning your digestive system doesn’t have to work as hard to provide the body with nutrients. Bananas are also rich in amylase-resistant starch, which is useful in treating stomach flu symptoms. Vomiting and diarrhea diminish your potassium levels, and bananas contain this mineral. They are also magnesium-rich and contain pectin, a soluble fiber which helps in curing diarrhea. Mix in a teaspoon of tamarind pulp. Add bananas to the other components of the BRAT diet (bananas, rice, applesauce, and toast), which are powerful against gastroenteritis. Simply Organic is committed to supporting organic and sustainable farming communities. Gas and stomach cramps are some of the most common symptoms of a stomach virus, and fennel seeds are excellent at treating them. Being a potent decongestant, fennel will help calm an upset tummy. Its anti-inflammatory qualities come in handy in relieving the stomach lining of inflammation, which is another aftermath of viral infections. Fennel seeds are also antioxidants and have antispasmodic effects, which keep your intestinal troubles at bay. Pour a tablespoon of fennel seeds in a cup of water. Wait for it to cool and strain it. Add lemon juice for maximum effects. Chew a teaspoon of fennel seeds to get relief from a stomach bug as an alternative. Viral gastroenteritis can leave the body feeling weak and put you out of commission for a couple of days. Understandably, eating can be hard during this time, which is why herbal teas make the best home remedies for a stomach virus. It is recommended to ease back into eating after recovering from a stomach virus. Which is the remedy that worked best for you? Leave us a comment below! Thank you for the feedback! We are glad this helped you! I had a kidney transplant in December of 2017 and when I get a stomach virus (any virus) I have no immune system; therefore, I have to pick and choose from remedies in lieu of having an immune system help. Last time I got a virus (a couple of months after transplant) I made sure and drank almost all my “remedies” with apple cider vinegar to try and kill the bacteria in my stomach and it worked pretty good. Thank you for the feedback, Betty! Feel better! You have absolutely no idea how glad I am to have stumbled upon this post. I am severely emetophobic and stomach virus season always scares me. That will happen again in just another few months. I always make sure I have a prescription of Zofran handy just in case my kids end up complaining about having a stomachache, or if I have it! Though I am bookmarking this because I know I’ll need to refer to this very soon! Thank you! We are glad we can help, Rudy! Let us know which home remedy worked for you best once you try these. I used to think there were no home remedies for the dreaded stomach virus but the BRAT diet (bread, toast, applesauce, bananas). Thanks to your home remedy site, I have a good array of home remedies for stomach viruses. In terms of turmeric, what is the best way to get it? Can you buy fresh turmeric at the grocery store? If so, do you have to grind it or anything like that? Thanks. Hello, Brad! Thanks for the feedback! As for turmeric, we like to get it in powder form either from the grocery store or online, but you can surely get the root and then grind it at home if you wish. I get a stomach virus and I want to roll over and die. Regrettably, that is not an option as you need to be near the bathroom and ready to move at a moment’s notice. I used to think that time was the only thing for stomach viruses, but your 15 home remedies for stomach viruses gives me many choices now. The next time I think I’m getting one, I’ll be mixing up some teas (cinnamon, rosemary, and thyme—where to begin?). Can I put some turmeric in cinnamon tea or is that overkill? You can certainly add some turmeric in your cinnamon tea when treating your stomach virus!